I have signed up for the September Stampotique ATC, the title for this month is 'Naughty'. This is my first time and it was a challenge to fit any detail in around the wording and my little man Head. The cards I used were from Ranger but because I always make a mess on the back, I stuck another piece of card over the splashes. 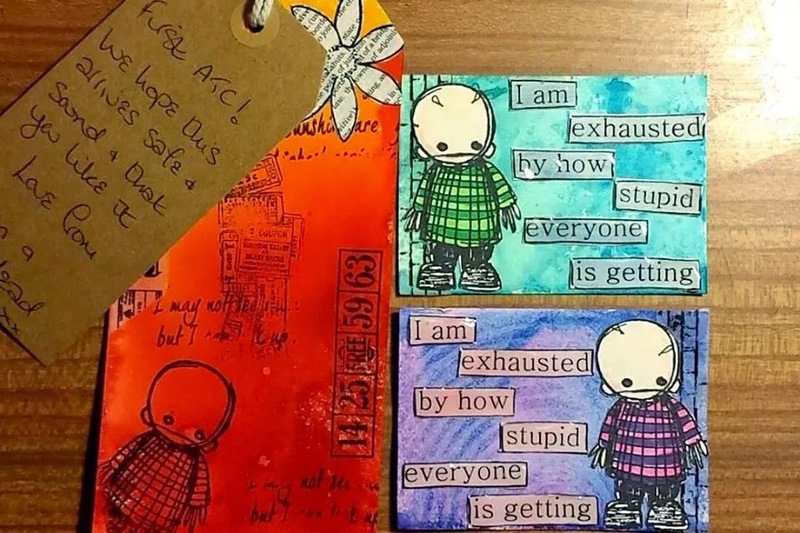 The background colours and wording are Dylusions and my little friend is Head from Stampotique. The words were glazed with Glossy Accents. 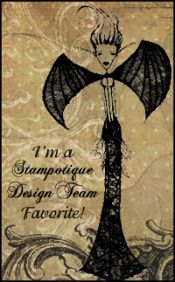 I have also made a tag to go with each ATC card. I hope they are good enough! Gay, I realised after that I should have kept them under wraps! I am posting them out this week now I have the addresses, looking forward to the swaps!